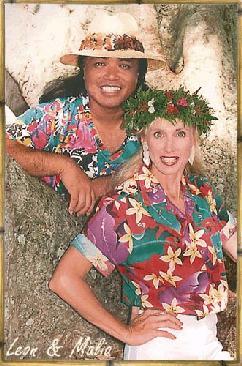 Leon Siu and Malia Elliott aka Leon & Malia (Leon & Malia Productions) are multi-award-winning composers, recording artists, performers and producers, known in Hawaii and throughout the world as Ambassadors of Aloha. Leon & Malia’s compositions range from film scores to commercial jingles, to symphonic works, to children’s songs, to vintage, heritage and current Hawaiian music, to contemporary pop and exotic world-beats. They perform regularly in Waikiki and abroad.